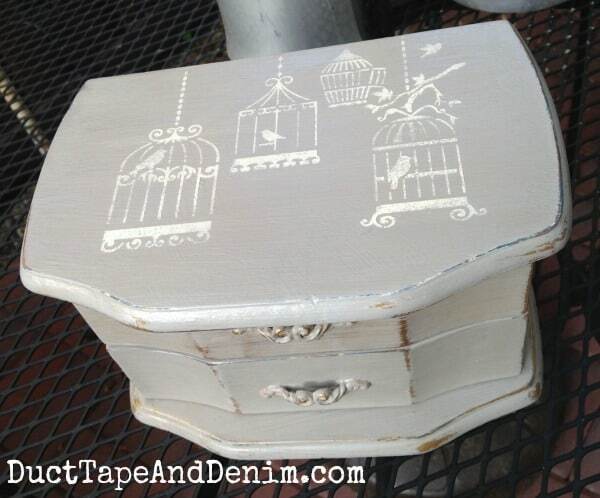 My 5 Favorite Simple Jewelry Box Thrift Store Makeovers! It’s hard to believe we’re almost through June! I spent the first half of this year concentrating on all the jewelry boxes I found at thrift stores and garage sales. 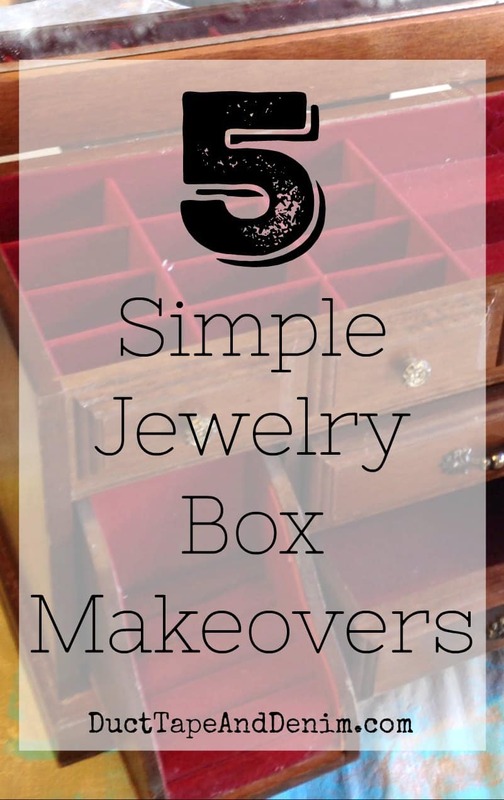 I think I’m caught up now so I’m going to share my 5 favorite simple jewelry box makeovers! I’ll be taking a break next month to focus on “Christmas in July”. I thought I’d give you a little warning before the first Christmas project hits your inbox. Don’t worry… it’s only for a month, then we’ll get back to jewelry cabinets in August. This was a new paint and I LOVE how it turned out! The gold hardware really pops on this color. This was a sweet little box but it had a stain. I solved that problem by decoupaging it! Another heart jewelry box. This one got a makeover inside, too! This is still my favorite stencil. And one of the most popular color combinations I paint. And this one is my ALL TIME FAVORITE jewelry box! The drawers really made it for me. Love, love, love!!! 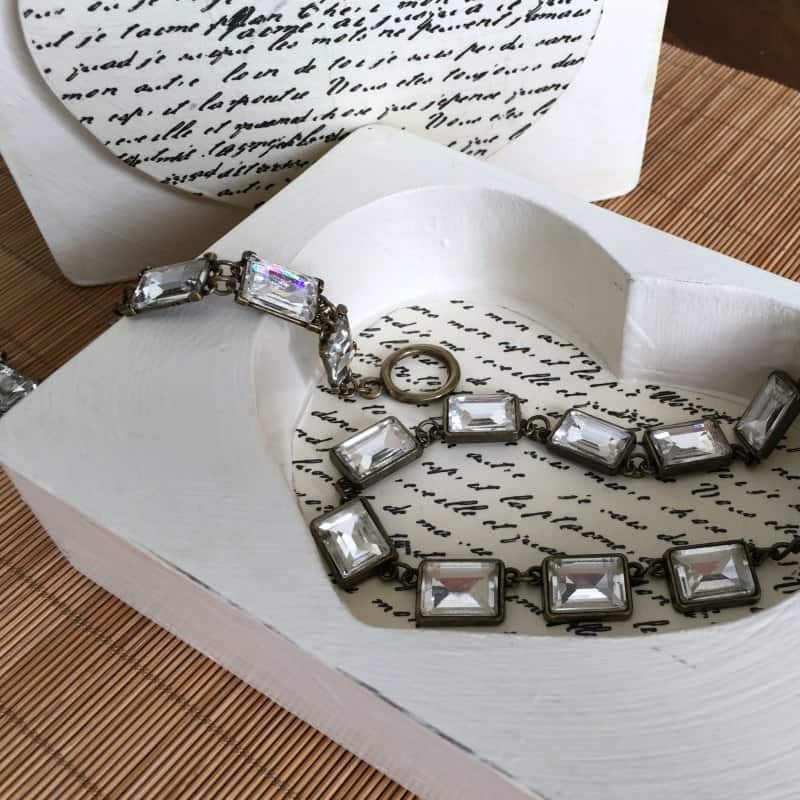 I would love to hear what you think… which simple jewelry box makeover is your favorite? We join these linky parties. I love them all. I couldn’t possibly pick a favorite! They are all fabulous, congratulations and thank you for the inspiration!! I love the bird cage one but they all look wonderful and clever you! Thanks for sharing with us at Over the Moon link Party. It is always great to have you join us and I’ve shared on social media. Have a great day! 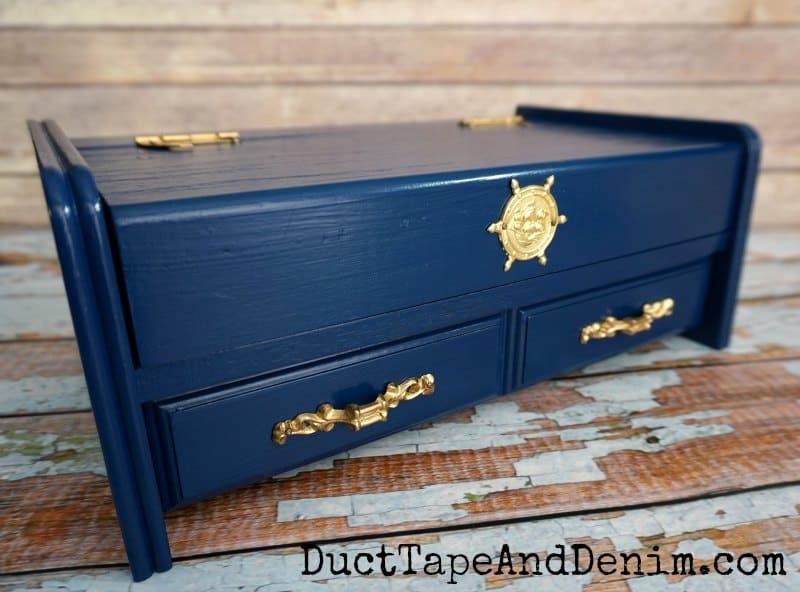 Like you, I love giving jewelry boxes a makeover, they are like mini furniture makeovers. Yours are all so pretty and I especially remember the heart script one. I love all of them! 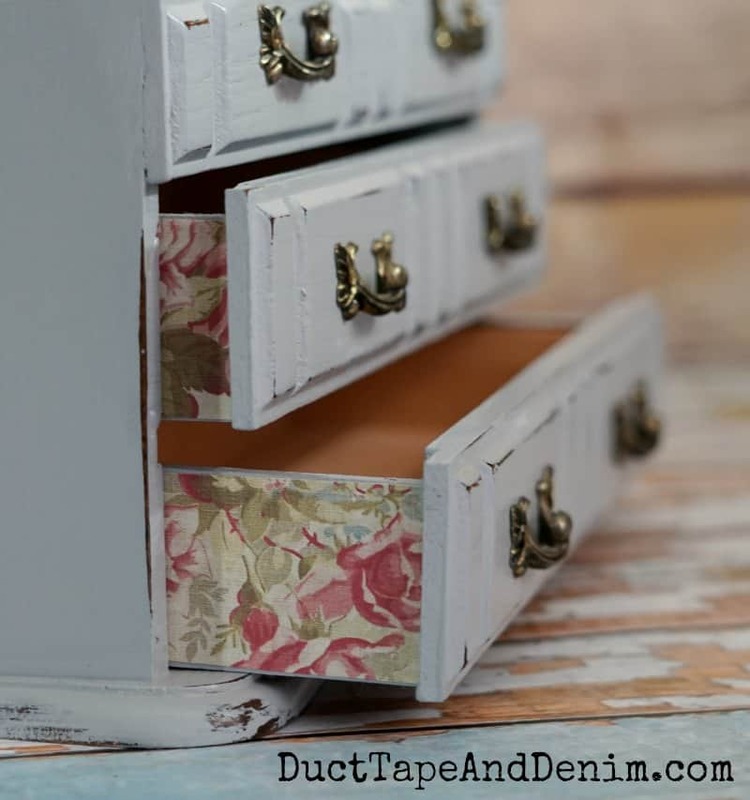 I particularly like the pretty paper decoupaged on the sides of the drawers. The inner linings for the boxes are pretty, too. These little details really make the boxes unique and. lovely. I love them all. So pretty!! 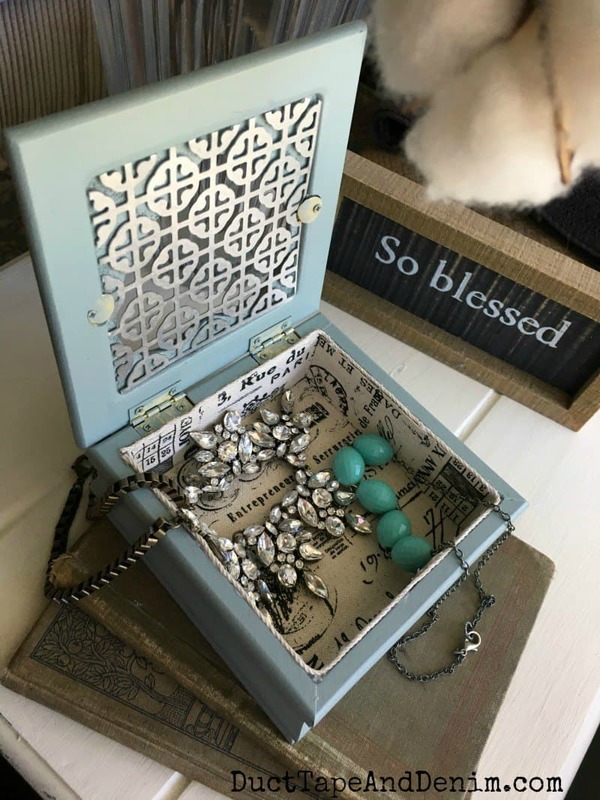 I love seeing your jewelry box makeovers. They inspire me to work on my stash I have been collecting. I have a question. When you remove the glass to decoupage what do you replace the glass with? And I’d love to see photos when you do yours!